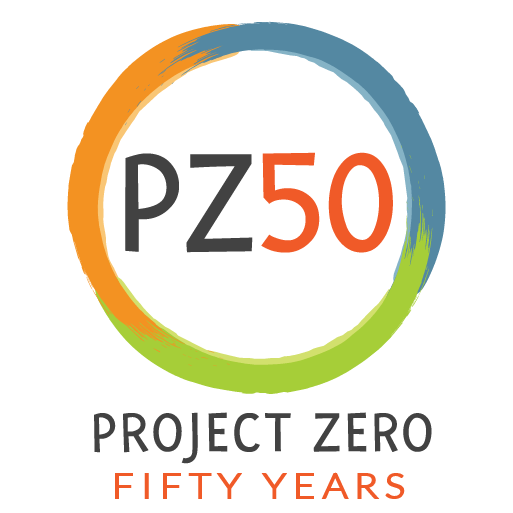 The first in a yearlong series of articles exploring Project Zero’s 50 years of innovation in education. Project Zero kicked off its 50th anniversary celebration with a forum called Changes of Mind: Five Decades of Insights into Intelligence, Thinking, & Learning. You can watch the recorded event here. Kids can be quick to label themselves and their peers as “smart” (correct answers, fast responses, good grades) or “not smart” (last to finish, “hates reading,” hides report card). But we know that intelligence is far more sophisticated than these two categories — and far less fixed. Part of helping students succeed in school and in life is showing them that there are many ways to be intelligent, and that intelligence requires diligence and reflection. Over its 50 years, Project Zero at the Harvard Graduate School of Education has been central to the development of those foundational beliefs — honing theories and disseminating tangible guidance on how to help kids rethink the idea of being “smart.” The work has influenced educators around the globe, ushering in — and validating — our contemporary understanding that people learn in different ways. Here, we provide an overview of that work on intelligence — along with ways that educators can bring these ideas into their own classrooms. Everyone possess all of these intelligences, but we also each have unique strengths and weaknesses. Some people have strong verbal and musical intelligence but weak interpersonal intelligence; others may be adept at spatial recognition and math but have difficulty with bodily-kinesthetic intelligence. And everyone is different; strength in one area does not predict strength in any other. These intelligences can also work together. Different tasks and roles usually require more than one type of intelligence, even if one is more clearly highlighted. Furthermore, we can exhibit our intelligences through our ideas, creations, and performances — but test scores do not necessarily measure any sort of intelligence. These multiple intelligences are not fixed or innate. They’re partially the result of our neural system and biology, but they also develop through our experiences and through our ability to persist, imagine, and reflect. By embracing these mindsets, we can actually shape and cultivate our intelligences. For example, being open-minded and careful in our thinking, as opposed to being closed-minded and careless, can be predictive of flexing and growing our intelligences. Ten Tools to Build a Culture of Thinking at Your School — from trying a schoolwide thinking routine to surveying your students to launching a "What If...Week." For educators, the lesson here is that effective teaching embraces this idea that intelligence is learnable and depends on our attitudes. Teachers can increase intelligence by creating opportunities for students to find and solve problems — especially problems which require us to think creatively, carefully, and strategically. They can essentially teach children how to think better. This article features contributions from Flossie Chua and Daniel Wilson.